Farmland may be dwindling in Connecticut, but the state Grange – a fraternal organization originally started for farmers – is celebrating its 125th anniversary this year, with an eye toward expansion. 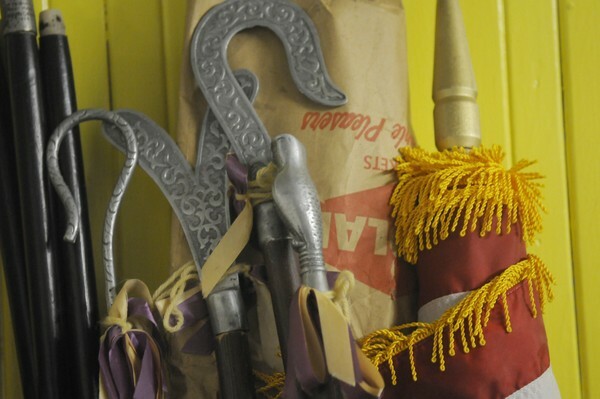 The Grange, or the Order of the Patrons of Husbandry, is focused on community service, family activities and agricultural causes. 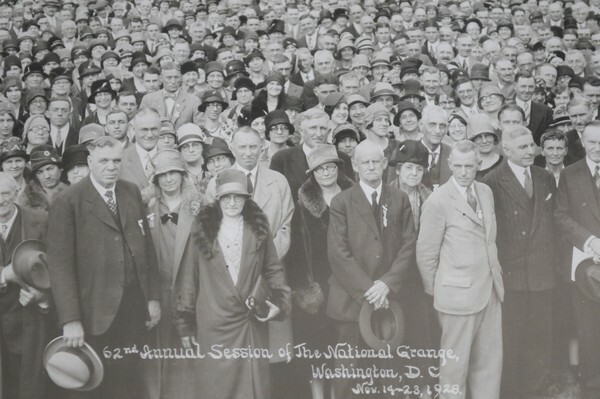 The mission of the National Grange is to "provide opportunities for individuals and families to develop to their highest potential in order to build stronger communities and states, as well as a stronger nation." For those in the Grange, the organization is like family — and for no one is that more true than for Jody A. Cameron, the new president of the state Grange. Cameron is a third-generation Grange member. His father's mother was a community Grange master in Rhode Island. His mother's family belonged to Killingly Grange. When his mother and father became Grange members in 1976, so did his three older sisters and his brother. As soon as he was able — in 1980, at the age of 13 1/2 — Cameron joined, too. He met his wife, Jodi Ann, at a Grange dance in the early 1980s. Now his son, J. Allen, 18, is one of the youngest deputy state masters the state Grange has ever had, and his 14-year-old daughter, Jaimie, is an active Grange member, too. "It's a family organization," Cameron said. "All of our children were brought up in the Grange." Cameron, 44, worked his way up through the Grange's leadership positions, starting with assistant steward at Brooklyn Grange in his early 20s. He was elected master of the Quinebaug Pomona — or county — Grange when he was about 22 years old. His wife has also held several positions, including master of the Ekonk Community Grange in Sterling and of Quinebaug Pomona, as well. "I've held every position in the Grange that a gentleman can hold," Cameron said. "I've enjoyed everything I've done." 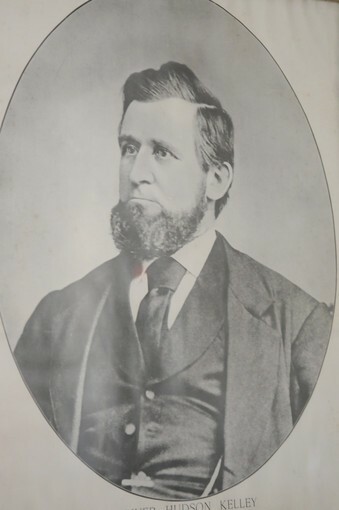 He was installed in his new position by his sister, Viola Brown, as well as his wife and children. "To have my family install me, that was amazing, to say the least," said Cameron. "I had my entire family involved, even if not directly participating. My wife's father made my gavel. It's quite impressive, I think." For the Camerons, the Grange is more than just a hobby, or a means of participating in community service. "This is, for lack of a better term, our way of life," Cameron said. "Somebody asked me recently how the Grange has changed my life. I don't think it has. It's been so long, it is my life." 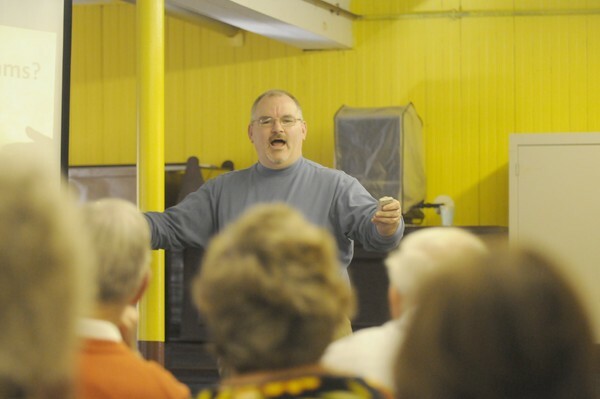 Listen to Bob Sendewicz, Cameron's predecessor, discuss the history of the organization at the old Good Will Grange Hall in Glastonbury, and step back in time. 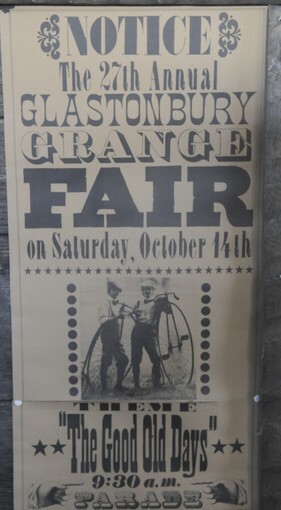 In the foyer, an old, framed Grange Fair poster leans against a wall. Glass cases house faded sashes, officer's badges and a Hartford Courant front page from 1960, touting the organization's 75th anniversary. Inside the hall, '70s-era avocado green and bright orange chairs line the perimeter. The wooden podiums on each side of the room, where different officers sit at each meeting, hark back to the post-Civil War days of the Grange's start. The organization was founded "when Johnson was president," Sendewicz says, and he's talking Andrew, not Lyndon B. In 1867, soon after the Civil War, the president was concerned about farms in the South, according to Sendewicz. Oliver Hudson Kelly, a government worker in Washington, D.C., and a Mason, believed the farmers needed a fraternal organization. Kelly and six others founded the Grange and based its rituals and structure on the Masonic Order. Soon after its start, the organization began admitting anyone over the age of 14, regardless of gender, and it grew, spreading across the country. In 1875, the first incarnation of the Connecticut State Grange was formed in Danbury. It was composed of 20 subordinate Granges, but they quickly crumbled, until only two remained: Hope No. 20 of Torrington and Tunxis No. 13 of Bloomfield. In 1885, the Connecticut State Grange was re-formed, and the number of community Granges swelled to more than 200. That figure has dwindled to today's total of 60. 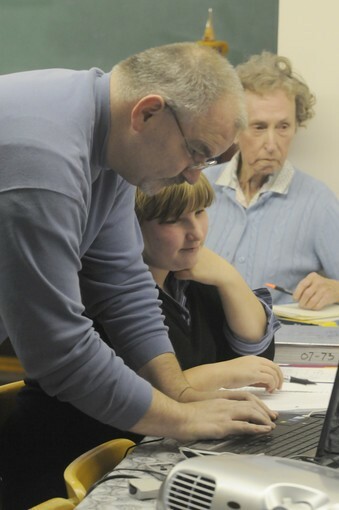 Although many Grange members have never worked on a farm – Cameron works for a plastics company, and Sendewicz is an electrical engineer, for example – many community Granges still hold agricultural fairs, and the organization backs agricultural causes, such as open space preservation and lobbying to keep the state Department of Agriculture in existence. Perhaps the foremost activity of the Grange, though, is community service. 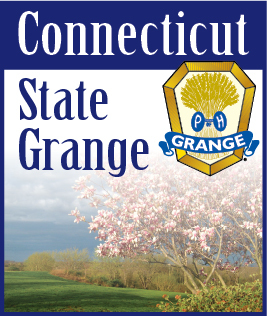 According to Cameron, the members of the Connecticut State Grange have contributed a total of 96,300 hours of community service to the state in the past year. Several Granges participate in the National Grange-sponsored "Words for Thirds" program, providing dictionaries to every third-grade student in their community. They have close ties to the Connecticut Association of Foster and Adoptive Parents, raising money for the Children's Hope Fund, which helps foster children pay for things like field trips or prom dresses, and making memory books for the children. The Grange also donates to Covenant to Care for Children and several other charities. And each Grange runs fundraisers and service projects of its own. The Granges are involved in helping needy families in their communities, as well as aiding shut-ins and the elderly, Cameron said. They collect goods for food banks and donate to blood drives. They raise money for "Welcome" signs in their towns. The Prospect Grange spearheaded a fundraiser to build a gazebo on the town green, Cameron said. At the state Grange's annual meeting in October, Cameron and his sister presented an award to the Grange that donated the most knitted baby hats and lap robes, a project Cameron's late mother had been actively involved in during her more than 35 years as a Grange member. "My mother knitted and crocheted like crazy," he said. "One of her pet projects was making baby hats for newborns in hospitals, and lap robes for the elderly in nursing homes." This year, Connecticut Grange members contributed more than 750 hats and 300 lap robes. Cameron sees a bright future for the Grange, despite the fact that many local Granges have closed in recent years. "It's poised on the cusp of growth. You can expect some downturns, like all fraternal organizations," he said. 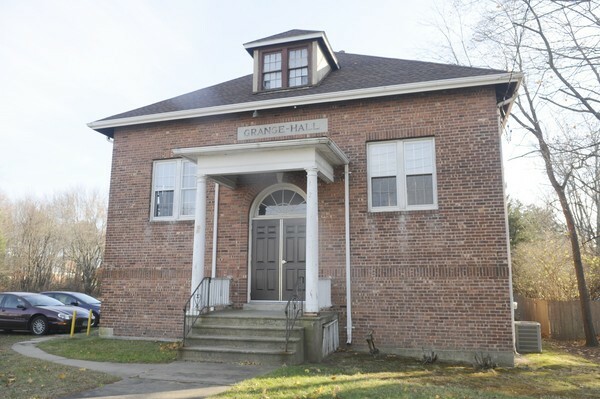 But Cameron believes that although the Grange is not "a one-size-fits-all organization," it can still meet the needs of many families and communities in Connecticut. "This generation is a generation of joiners. If you meet the needs of that family, and that can be anything, they'll show interest," he said. The state Grange will be working on strengthening local Granges, as well as going into towns where Granges have closed and trying to revive interest, Cameron said. "We belong to an amazing organization. Everybody that's a member knows that," he said. 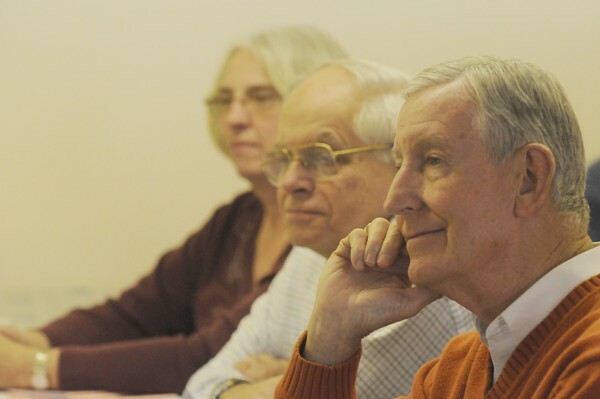 "We need to get our members out there and really get out in the community and let everyone know what the Grange is about, not just on a membership-drive basis." The National Grange has rolled out a growth program, and the state Grange has created teams to work with the junior, local and pomona Granges. The teams are there to help the Granges work on organization, finances, membership recruitment and any other area in which they may need help. "We're trained by the national development director, and we're taking what we've learned from him to help the local groups," said Todd Gelineau, general deputy for the state Grange. "The key is, they know they have a partner to help them flourish," Gelineau said. "It helps them to know that the state and national Granges are behind them. We give them all the tools we can, walk them through the process and help them thrive." More than just increasing membership, Cameron hopes that during his term, the Grange becomes a more familiar name. "That's my ultimate dream for every community Grange in Connecticut."